Karlheinz Stockhausen  Aus den sieben Tagen (From the Seven Days). CD 1 a: RICHTIGE DAUERN (Right Durations) for circa 4 players (May 7th 1968). Recorded August 26th 1969, never played before. Duration: 21:00. Participants: Carlos R. Alsina (piano & Hammond organ), Jean-François Jenny-Clark (double-bass), Jean-Pierre Drouet (percussion), Michel Portal (tenor saxophone & clarinet), Vinko Globokar (trombone), Karlheinz Stockhausen (voice, bamboo flute). CD 1 b: UNBEGRENZT (Unlimited) for ensemble (May 8th 1968). Recorded August 28th 1969 without previous rehearsal. Duration: 49:07. Participants: Johannes G. Fritsch (viola with contact microphone and filter), Michel Portal (clarinet, bass clarinet, tenor saxophone), Carlos R. Alsina (piano), Jean-François Jenny-Clark (double-bass), Jean-Pierre Drouet (percussion), Vinko Globokar (trombone), Karlheinz Stockhausen (voice, 2 rin [metal cups: Japanese temple instrument], siren-whistle, short-wave receiver, 1 filter and 2 potentiometers for viola). CD 2 a: VERBINDUNG (Connection) for ensemble (May 8th 1968). Recorded August 30th 1969 without previous rehearsal. Duration: 26:00. Participants: Harald Bojé (electronium), Aloys Kontarsky (piano), Johannes G. Fritsch (viola with contact microphone and filter), Alfred Alings and Rolf Gehlhaar (tam-tam and percussion with microphone and filter), Jean-Pierre Drouet (tabla, Indian bells and other percussion instruments), Michel Portal (flute, bass clarinet, tenor saxophone), Jean-François Jenny-Clark (double-bass), Karlheinz Stockhausen (2 filters and 4 potentiometers for viola and tam-tam). CD 2 b: TREFFPUNKT (Meeting Point) for ensemble, first version (May 8th 1968). Recorded August 27th 1969 without previous rehearsal. Duration of first version: 10:30. Participants: Aloys Kontarsky (piano), Rolf Gehlhaar (tam-tam with microphone and bamboo flute), Carlos R. Alsina (piano), Michel Portal (tenor saxophone and clarinet), Vinko Globokar (trombone), Karlheinz Stockhausen (glissando flute, short-wave receiver, 1 filter and 2 potentiometers for tam-tam). CD 2 c: TREFFPUNKT (Meeting Point) for ensemble, second version (May 8th 1968). Recorded August 27th 1969 without previous rehearsal. Duration of second version: 16:07. CD 3 a: NACHTMUSIK (Night Music) for ensemble (May 8th 1968). Recorded August 31st 1969 without previous rehearsal. Duration: 27:30. Participants: Harald Bojé (electronium), Aloys Kontarsky (piano), Johannes G. Fritsch (viola with contact microphone and filter), Alfred Alings and Rolf Gehlhaar (tam-tam with microphone, flexatone, guero, Jews harp and other instruments), Jean-François Jenny-Clark (double-bass), Jean-Pierre Drouet (drum and other percussion instruments), Karlheinz Stockhausen (short-wave receiver, cuckoo flute, 2 filters and 4 potentiometers for viola and tam-tam). CD 3 b: ABWÄRTS (Downwards) for ensemble, first version (May 8th 1968). Recorded August 28th 1969 without previous rehearsal. Duration first version: 31:30. Participants: Aloys Kontarsky (piano), Alfred Alings and Rolf Gehlhaar (tam-tam with microphone and percussion), Carlos R. Alsina (piano), Jean-Pierre Drouet (percussion), Vinko Globokar (trombone), Karlheinz Stockhausen (cuckoo flute, bamboo flute, short-wave receiver, glass with stones, cardboard box with sand and pebbles, 1 filter and 2 potentiometers for tam-tam). CD 3 c: ABWÄRTS (Downwards) for ensemble, second version (May 8th 1968). Recorded August 28th 1969 without previous rehearsal. Duration second version: 19:07. CD 4 a: AUFWÄRTS (Upwards) for ensemble (May 8th 1968). Recorded August 29th 1969 without previous rehearsal. Duration: 30:30. Participants: Aloys Kontarsky (piano), Johannes G. Fritsch (viola with contact microphone and filter), Alfred Alings and Rolf Gehlhaar (tam-tam and claves), Vinko Globokar (trombone), Karlheinz Stockhausen (filters and potentiometers for viola and tam-tam, short-wave receiver and 2 rin [Japanese temple instruments  metal cups]). CD 4 b: INTENSITÄT (Intensity) for ensemble (May 9th 1968). Recorded August 29th 1969 without previous rehearsal. Duration: 32:07. Participants: Johannes G. Fritsch (viola with contact microphone and filter), Rolf Gehlhaar (large tam-tam with microphone and filter), Carlos R. Alsina (piano), Jean-François Jenny-Clark (double-bass), Jean-Pierre Drouet (percussion), Michel Portal (saxophone, clarinet, bass clarinet, flute), Karlheinz Stockhausen (hammer, nails, block of wood, sand-paper, rasp, file, 4 car-horns, siren-whistle, 2 filters for viola and tam-tam). CD 5 a: SETZ DIE SEGEL ZUR SONNE (Set Sail for the Sun) for ensemble (May 9th 1968). Recorded August 30th 1969. Duration: 34:00. CD 5 b: KOMMUNION (Communion) at first for 3, later for 4, 5, 6, 7 players, singers (May 9th 1968). Recorded August 27th 1969 without previous rehearsal, though six of the eight players had tried out the text VERBINDUNG, presenting a similar formulation, three months earlier. Duration: 16:37. Participants: Alfred Alings and Rolf Gehlhaar (tam-tam and percussion with microphone and filter), Johannes G. Fritsch (viola with contact microphone and filter), Carlos R. Alsina (Hammond organ and piano), Vinko Globokar (trombone), Jean-François Jenny-Clark (double-bass), Michel Portal (saxophone, flute, clarinet), Karlheinz Stockhausen (voice, short-wave receiver, glass with stones and 2 filters and 4 potentiometers for tam-tam and viola). CD 6 a: ES (It), first version (May 10th 1968). First version recorded August 26th 1969. Duration: 25:30. Participants: Vinko Globokar (trombone), Carlos R. Alsina (piano), Jean-François Jenny-Clark (double-bass), Jean-Pierre Drouet (percussion), Michel Portal (saxophone, flute, clarinet), Karlheinz Stockhausen (voice, siren-whistle, short-wave radio). CD 6 b: ES (It), second version (May 10th 1968). Second version recorded August 31st 1969. Duration: 24:37. 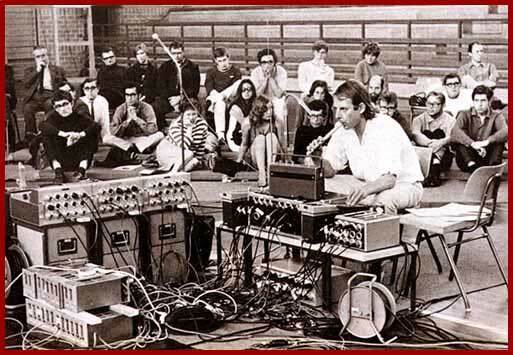 Participants: Harald Bojé (electronium), Aloys Kontarsky (piano), Johannes G. Fritsch (viola with contact microphone and filter), Alfred Alings and Rolf Gehlhaar (large tam-tam with microphone and filter), Karlheinz Stockhausen (filters and potentiometers for tam-tam and viola, voice). CD 7: GOLDSTAUB (Gold Dust) for small ensemble (May 10th 1968). Recorded August 20th 1972 at Stockhausens home in Kürten (The only time up to now that it has been performed). Duration: 53:20. Participants: Péter Eötvös (electrochord, keisu, rin), Herbert Henck (voice, sitar, saucepan partly filled with water, 2 little bells and ships bell), Michael Vetter (voice, hands, recorder), Karlheinz Stockhausen (voice, conch shell, large cowbell, keisu, 14 rin, jug and bowl of water, 1 Kandy drum, ring of bells). Some instruments were used seldom or only once (Hencks instrument and the Kandy drum). As soon as I came in  before taking off my anorak and my winter boots - I headed for the music room and put one of the seven CDs of Aus den sieben Tagen into the CD player, sinking down on the sofa to listen, as snow melted off my boots and made little puddles on the wooden floor. As I listened to the music that poured out of the loudspeakers I felt my anatomy fill up with an overflowing joy, even bringing tears to my eyes  a joy at this incredible richness of creativity, of body and soul, that rose out of the laser box, and which I was sensitized to by my bike ride through the bitterly cold air, almost to the point of completely identifying with the music and disappearing into it, with it. I felt like it was a lesson in survival, and I stayed seated, anorak and boots on, until that random CD out of the seven had finished. Then I returned to the entrance hall of the apartment, to take off the winter clothes, warm and inspired  and Im not even going to tell you which CD out of the seven it was, since that doesnt matter. It could have been any of the CDs, and Im sure my emotional reaction would have been similar. Man is most beautiful when he  like the child building a castle of sand at the shore  is completely possessed with what he is doing, whether he is drawing a picture, constructing an engine or composing music; and I feel that what we hear on these CDs is an attention like that, 100%, on the act of playing, performing, and as we shall se, this really is the case, particularly in these compositions (or should we call them something else apart from compositions? Stockhausen says Intuitive music). The background of the work also explains the title; Aus den sieben Tagen. There really were seven crucial days in the life of Stockhausen, that lead to the formation of intents resulting in the realization of the works that are included under the overarching title. 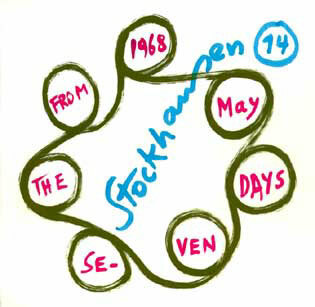 Stockhausens fateful seven days hit in May 1968, beginning on the 6th of the month. In Europe the May revolution ravaged, bringing hope as well as disappointment and despair. We who were young or fairly young  many of us  took part in all kinds of manifestations and demonstrations, political discussions went on in all media all the time, a flux of cultural and political/cultural ideas washed through our lives and through the countries of Europe, and the contempt for U.S.A. and the American genocide in Vietnam grew steadily into a fury. I myself, together with thousands of students, went to the resort town of Båstad in Sweden on the 3d of May 1968, to stop a tennis match between Sweden and racist Ian Smith-run Rhodesia (to become Zimbabwe), and we succeeded, narrowly escaping the revenge from the furious local conservative population. The attempted assassination of Rudi Dutschke raised an intensified student resistance, and the seeds of the Red Army Faction (the Baader-Meinhof group) were sown. In the U.S.A. May 1968 was a time of anti-war protests, Black Power groups and the formation of anarchist movements like the Weathermen, and it was also the tense intermission between the assassinations of Martin Luther King Jr. on April 4th in Memphis and the assassination of Robert Kennedy on June 5th in Los Angeles. The world seemed to be at a turning point, and in the midst of this lightning struck Stockhausen out of America. He had just returned home to Kürten after the premier of Kurzwellen (May 5th 1968 at Radio Bremen), and expected his wife Mary Bauermeister and his children to come home from the U.S.A. All he got was a letter stating that she wasnt coming, and that their relationship was terminated. He was devastated, telegraphing her in Madison, begging her to come back, with no answer but silence. Stockhausen went into a hunger strike on the 6th of May to make his wife return across the ocean, and on the second day he resolved to die by his own hand. Then something magical happened. The women he had been begging to come home suddenly became unimportant to him. 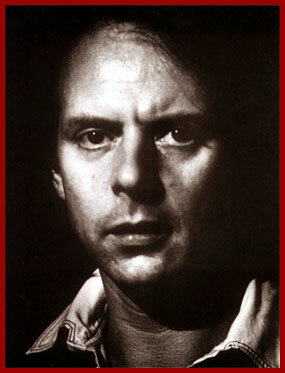 Stockhausen kept on fasting, mostly just sitting around, asking himself who he was, what he wanted, what his aims were. At that time he discovered a book in his bookshelf  an old, out-of-print issue with Satprems texts about Sri Aurobindo, which he had been given by a young girl at a seminar in California, but not read before. Astonished he discovered that Aurobindos thoughts were in perfect harmony with the way he was feeling and thinking at the moment, and he was absorbed by the book. Michael Kurtz describes it in his book Stockhausen  A Biography: Coming at a crisis point, it [the book with the texts on Sri Aurobindo] was the impulse for a catharsis that immediately generated new music. "Intensität" and "Setz die Segel zur Sonne"
In the days thereafter he kept on writing, and later assembled all the fifteen texts resulting from this under the overarching title Aus den sieben Tagen. Simultaneously he also wrote poetic and philosophical aphoristic pieces dealing with relations and his razor-sharp experiences from those crucial days. Out of the fifteen texts he used twelve for performance instructions, but three of them are presented in two versions on CD, so that the amount of performances on CD here reaches fifteen. This type of composition or instruction or whatever one might call it (resulting in the music that Stockhausen calls Intuitive), represented a radical change in Stockhausens way of working, even though the two, three previous compositions he did pointed in this direction. Stockhausens new method would prove difficult for players who werent very attuned to the idea (or to Stockhausen) to grasp, and even players very familiar with Stockhausen had problems, like for instance Aloys Kontarsky, but an in depth guidance by Stockhausen led to the full participation of Kontarsky too, who only needed to be able to see things in a way that he could relate to. Its all in your mind, and like The Tibetan Book of the Dead says; the thoughts are real, much more so than the material world, for all that we do, all that we build etcetera, originate in our thoughts (an old conception that for example also Plato reflected). Kontarsky could play according to Stockhausens new kind of instructions as soon as he could think about them in a certain way that fitted his personality. Stockhausens deep-rooted pedagogical talent reveals itself in the way he could guide Kontarsky on to that way of thinking, resulting in excellent playing of something that Kontarsky at first found impossible. A basic idea of Sri Aurobindo was to restrain all the impulses, all the stimuli, that usually tumbles through our mind  to clean house  and make the mind accessible to a higher level of consciousness. Stockhausen saw the need for the gradual development into a higher consciousness within the performers of his new music. On the British premier of Mantra Stockhausen selected some paragraphs out of Satprems Sri Aurobindo or the adventure of consciousness (which can be studied in Jonathan Cotts very immediate and interesting book Stockhausen  Conversations With the Composer) where Aurobindo  through Satprem - says that in India there is a knowledge based on the study of sounds and their connections to our different planes of consciousness. This would also mean that we, by repeating certain sounds, might put ourselves in communication with these levels of consciousness. The sounds, the vibrations  at a higher level  develop the possibility of experience and realization; the thorough sense of inner vision. Sri Aurobindo also maintains that we, by learning how to compose music as a product of a conscious handling of higher vibrations, may shape works of initiatory powers, bringing the gods into our lives. Aurobindo says that true poetry makes holes in the consciousness where the Real may enter. It is said that great music comes from the overmind, which is the source of all creative  and spiritual - acts. Aurobindo goes on to explain that poets, writers, artists who consciously enter into a higher level of consciousness hear; they do not try to translate ideas  they HEAR. They sense a vibration, and when they form art, music, words from that initial vibration, those occurrences are just secondary effects of that real vibration. When the consciousness is transparent, the book says, the sound becomes clearly audible. Then all is full, all is contained in a single vibration. The book says that these vibrations seem to be born out of the Infinite and disappear into the Infinite; that they enter the mind with a halo of eternity that vibrates ahead and continues to vibrate long after. These (Aurobindos aspects above) were the kind of texts, ideas, that Stockhausen immersed himself in at that point of crisis, and right after the culmination of that crisis in May of 1968, and its important to know something about this to justly assess the musical result of this thought-process, this fine-tuning of the mind, this tune-up of the whole human and super-human system of a man on Earth. To really appreciate all the ins and outs, all the aspects, of this important event one must have gone through a deep crisis and a consequent cleansing-rite oneself. 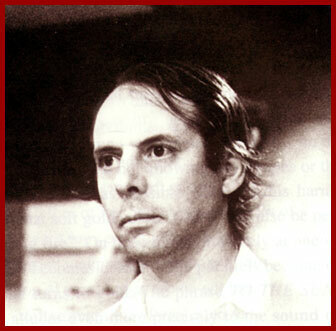 Most people have been through these stages, and come out on the other side with a sharpened mind and a humbler outlook, but only the workings of a very creative spirit would come up with something like Intuitive music and the modes of instruction for this music that Karlheinz Stockhausen did. Like so many times  not quite so dramatic  in Stockhausens life, everything seemed to suddenly fall in place, and the pattern was there, ready, as by magic  even though an enormous energy had been at work below the conscious level before this Intuitive music could materialize itself through Stockhausens cleansing-process. You dont see the lightning crisscrossing; you dont see the electric nerve impulses cut through the cerebral cortex like meteorites shooting across a starry nocturnal sky. All you see (hear) is the beautiful sounding (vibrating) end result of this intricate and dangerous process, which might as easily have broken a mind down into the bewildering hall of mirrors of schizophrenia and paranoid misconceptions. Stockhausen came out of the cave, down from the mountain, with a clear mind and a spirit in perfect equilibrium. He brought Intuitive music. Nobody knew it yet but himself, but after he had gathered his closest musical friends into an ensemble for the performances based on the short, even cryptic (sometimes Zen-like) performance instructions that he wrote during the days of fasting in May 1968, the knowledge of this would spread  and in February of 2001 I carried all this amazing Intuitive music home with me from the post office in a back-pack in 15° Celsius, and the adventure continues, way past us, into that which we call future, and which others yet to come will call past, and we travel towards and into that distant future in the vehicles of our bodies, from life to life, so ride on, ride on, dont stall! Our adventure is endless! Look at all those bodies/vehicles around you on a busy street or in a cafeteria; all body-vehicles passing through this life, with spirits that are indestructible, changing vehicles as lives end, lives start. Gerade aus! In Jonathan Cotts book, mentioned above, there is a chapter called Intuitive versus Determinate Music, in which Stockhausen elaborates his view that both kinds of methods are necessary and complementary. His steadfast conviction is that the musicians should alternate between the free intuitive feedback and faithfully studied determinate music. Stockhausen explains that in his improvisational music (which he doesnt want to call it), i.e. his intuitive music, the players must react very fast to what is happening in the group, even with a kind of sixth sense, to integrate the sounding events that occur. He also notes that this game is not for all; to be able to transform the impulses that arrive in the process into the progressing and fluctuating pattern as a whole, avoiding having each new event stand out as fully individual, anarchistic intrusion. It can be observed, though, that the musicians chosen by Stockhausen for these manifold performances have the skill, the intuition and the technical and musical training needed to turn these, in a sense completely unpredictable, musical events into high art, shimmering webs of sound, intricate tonal patterns and exciting evolutions. Stockhausen also points out that his musicians have had a lot of training with composed music, which is why they are well suited to make qualitative decisions along the way, to shape a coherent, organic music. The self-discipline that these musicians have mastered also reveals itself in the way they dare to stay silent for extended periods, so as not to block out the others, or possibly shade an important event that is progressing elsewhere in the music. you never have that now-or-never tension. While composing a score there are sometimes beautiful moments late at night when youve worked all day long and all of a sudden everything falls into place. These are fantastic moments. But it has nothing to do with the tension of sitting in a hall, the people are there, and you know you cant erase anything. The first piece on the first CD, as mentioned before, is RICHTIGE DAUERN. Obviously the instruction  which is reprinted above  deals with durations. These, however, have nothing to do with the traditional notations of durations. Instead the instruction requires each individual player to decide himself what feels right, concerning durations. This very individual judgment is duly harnessed, though, by the words: But whether you play or stop: keep listening to the others. Even the audience is taken into consideration when determining the durations: At best play / when people are listening. Stockhausen characterizes the sounds/durations of RICHTIGE DAUERN in this beautiful realization: The sounds do not exist in time, but rather time exists in the sounds. It may seem highly improbable that any player could take in this instruction and really feel what it is to have an unlimited time/space continuum at his disposal. This is a thought of God, only fitting for God  and of course it is a verse to meditate on, thoroughly, intensive, for extended durations. Stockhausen also states that the continued dwelling on that limitlessness makes the players think about  become aware of - the limitations that usually restrict the musician and the music, and possibly  I think  this may enable the players to play as if their time and space was unlimited, thereby not trying to adjust the playing to a given or foreseeable end of the music, or a certain setting  and certainly this is a pedagogical initiative that has many implications, for sure arousing sound worlds otherwise impossible to conceive. How late is it? How long does it last? How long will you stay? When is it over? that you have an infinite amount of time? Do you know a way, through which you could arrive at this certainty? Do you know how you can overcome death  which is fear? Have you ever played without asking, how late it is? How large am I? How large is my instrument? Where are my limitations? Where are the limitations of my instrument? How large is my room? How large is my house? How large is my ground, our country, our Earth, our stars, our galaxy? How far do my tones carry? that you have an infinite amount of space? our planet, our solar system? Do you know how to arrive at this certainty? Do you know the way which leads out of the prison? lives like YOU, like ME, like HE, like SHE, like IT. Moves, stretches out and contracts. Transforms itself, gives birth, begets, dies, is re-born. Stockhausens soft, yet intense voice is perfectly suited for reciting the text he reads on this recording of UNBEGRENZT; from On Yoga I by Sri Aurobindo. Stockhausen opened the book randomly, and ended up on page 710, in Chapter XVII, The Action of the Divine Shakti, which he hadnt read before. He read with repetitions, pauses, tempo variations, terraced dynamics etcetera, and in addition he used rin, siren-whistle, loud breathing, plus noises and fragments of speech from a short-wave receiver. The sound of a car approaching, changing gear outside, can be detected at the end of the performance. 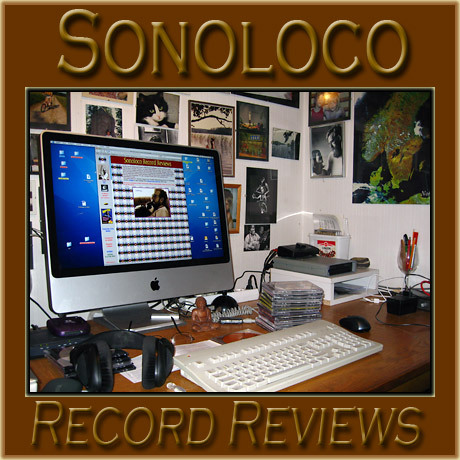 This is a truly magic moment caught in time and issued on this CD. Its by now one of my most treasured recordings, and this piece by itself justifies the price of the whole set!
! Stockhausen says, though, that you might become aware of the following rhythms by concentrating enough on them. The thinking rhythm, for example, can be detected if one closes ones eyes and in some way marks each time a new thought, or a new line of thoughts, emerges. As to the intuitional rhythm Stockhausen proposes that this quality appears if one lets thought stand still, and plays when one gets an impulse, a musical idea; inspiration. Enlightenment is a hard case here for most people. Stockhausen says its a matter of discriminating  selecting - from the intuitive inspiration only those [instances] which occur with the certainty of an absolute rightness, of a penetrating, illuminating (sound-) vision  and which are, by definition, enlightenments. 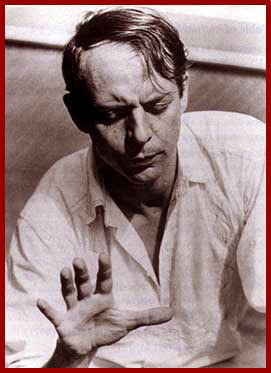 Stockhausen describes that these enlightenments sometimes occur in denser sequences with particularly well-attuned musicians, and that this always leads to an incomparable feeling of happiness and thankfulness. However, one of the musicians working with Stockhausen throughout many of these recordings  pianist Aloys Kontarsky (a very intellectual constructivist)  found no way of taking part in the enlightenment part of VERBINDUNG, so he remained silent, and Stockhausen then let him do that. The part that indicates playing in the rhythm of the universe also was bothersome for Kontarsky. This is hinted at more generally in the earlier part of this review. Stockhausen says that the rhythm of the universe may be experienced in dreams, by way of meditation and by indulging yourself in the study of astronomy and astrology. Kontarskys problem with the instruction to play a vibration in the rhythm of the universe was duly addressed by Stockhausen. He tried all kinds of analogies to make Kontarsky get the feel of the instruction, but to no avail. Kontarsky finally offered to leave the group at that stage, but then Stockhausen asked him to think about the constellations, like Cassiopeia, and all of a sudden the cramp loosened its grip on Kontarskys imagination, and opened the floodgates of creativity. Kontarsky immediately made an analogy to Webern, the super-constructivist, and from then on, in this special case, Kontarsky began playing skeletons of music, the constructive elements (also well suited for a piano), spread afar inside the music, and the other players logged on to this structuralism. Kontarsky played the rhythm of the universe! This is indicative of how much attention and willingness to experiment and really make the effort of their lives, that this music demanded of the players, and it shows how devoted they were to the genius of Stockhausen, and how complete their trust was in his ways. These unique, unprecedented recordings of, for the most part, unrehearsed first performances (it makes one grasp for air, thinking about it!) could never have been achieved without this tight-knit crew of devoted and extremely skilled and attuned musicians  who had to become philosophers as well! In this piece the thoughts of the players are free to guide the way. Now, how could it be that every player should follow his thoughts, musically, to wherever they lead, yet play the same tone as the others, as the whole group? Stockhausen thinks  I guess he knows, from the experience with this ensemble  that the players, being of a non-egotistical breed, with the good of the whole  of the sound  as their foremost goal, will concentrate on the collective tone, but allowing each individual player to follow his thoughts away  astray - for a bit, with the assurance that the player, after his musical excursion, will return to the collective tone, the Treffpunkt. As Stockhausen mentions in his comment, this piece of course will lead to many disturbances, even conflicts, when things are headed in different directions at the same time, which makes TREFFPUNKT a highly dynamic, adventurous piece of intuitive music. The two versions presented confirm this. 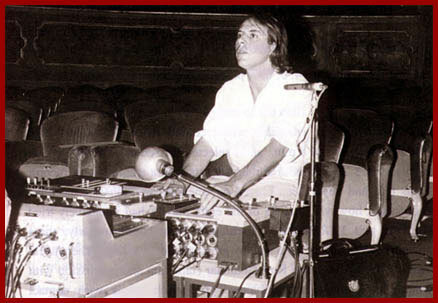 Before this recording could take place, Stockhausen described to musicians his investigations into the rhythm of his dreams. They had already performed vibrations in the rhythm of the universe earlier. Stockhausen explains that the group had performed UNBEGRENZT at night in the woods of St. Paul de Vence, which may account for their amazing ability to utilize  or drift into the rhythms of dreams and stellar constellations, and intertwine them with the mysterious sounds of nocturnal animals and fabulous creatures. The sounds here really spellbind you, with all their nocturnal magic. Interestingly, Stockhausen explains in the CD booklet that he sent the players the texts long before the recordings were made, asking them to tell him which of the parts they did not want to participate in. Some of them consequently refrained from certain texts. Stockhausen himself collected an array of different sound sources, ranging from a cuckoo flute to small stones and a short-wave receiver for ABWÄRTS. Stockhausen is also heard speaking  and vocalizing - in this piece, here and there. saliva sucked in and out between lips and front teeth, pressed out with the tongue etc., all very close to the microphone. Stockhausen here clarifies that the rhythm of ones smallest particles can be the movement of little flecks of light when ones eyes are closed. He goes on to say that the rhythm of the universe can be the proportions of star-constellations, transposed into rhythms and intervals, as was explained also before, in connection with how Stockhausen liberated Aloys Kontarsky with these constellation examples. Stockhausen notices in this recording the unusual synchronity of the players. This value is present here in a higher degree than might be anticipated in a performance of intuitive music. He says that this might have to do with his own mental preparations for the piece, particularly regarding the part of the instruction that talks about playing a single sound with such dedication until you feel the warmth that radiates from you. He says that he took warmth to mean also physical warmth, which is why he worked himself into a state where this physical warmth was present. Stockhausen hade a foreboding of the performance early in the morning of the same day, and the actual event happened as he had seen it in his vision. He acted on the impulses from the vision, like getting a thick pullover, car-horns and a siren-whistle, and he drove off to a construction site to obtain a block of wood, and to town to buy a hammer, long nails, rasp, file and sand-paper, where after he hurried on to the studio. With no word of explanation to anybody he put on his pullover, set up the instruments and tested the microphones, and began playing as soon as the other musicians had arrived at the scene! This was a very special performance indeed, which would have been very bewildering and even provoking to any musicians other than the ones Stockhausen had teamed up with those years. Stockhausen explains in thee CD booklet that he started off with periodic sandpapering and rasping of the wood block. Then he hammered the nails into the wood, first individual ones completely; then groups of nails to different depths. 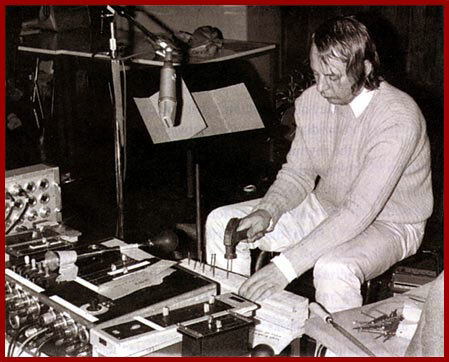 Stockhausen then put himself to work at the wood-and-nail contraption, with filing at the stems of the nails, rasping the wood and hammering nails all the way in, and so forth  while of course the musicians with more traditional instruments kept up their good work. The intensity of the craftsman at the wood block influenced the other players, who switched  or drifted  between the extremes of the piece: the completely synchronous and the completely opposed. As a listening experience  especially if youre aware of these circumstances  it is a highly rewarding one, and if there were a film of the whole event, it would be hilarious to watch. Maybe there is one? As opposed to most of the pieces presented across these seven CDs, this one had been extensively rehearsed before previous performances. Stockhausen explains the latter part of the instruction as having to do with the sensations you might achieve by closing your eyes in a completely relaxed mood, concentrating on the light that penetrates your eyelids, not allowing any images or thoughts to interfere for as long as possible. You may then see a soft golden color, maybe even in gently shimmering fire. As the player then becomes at one with the sound (the whole sound, as indicated in the instruction), the sound too becomes color, turning to gold. Stockhausen maintains that a player must have had such an experience to be able to rightly assess his playing. Stockhausen also found it desirable to explain more in detail to the players the values of harmony (since harmony is to be arrived at according to the instruction) of for example the superimposed rhythms, the dynamics, the timbres and so on. This is the highest level of intuitive playing, as the instruction proposes that the player play only when he is not thinking, thereby effectively leaving all calculated or planned intent out, letting the force of the unconscious loose in all its majesty, forming, as it does, almost all of our being, our whole existence, whereas the purely conscious hovers over the void like a thin atmosphere, which some people ignorantly regard as the truth, the whole truth and nothing but the truth  especially in these so terribly secular times, when the engineers have taken the roles of the shamans. C. G. Jungs foreword to The Tibetan Book of the Dead should clarify a lot to Westerners about this. This kind of playing, Stockhausen stresses, requires musicians through whom playing can also happen by itself, without any reflection, on the spur of the moment. There is an interesting development over time present here. At first  the first times the musicians attempted ES - there were long pauses with just brief sonic interruptions. Then gradually longer events and polyphonic passages emerged. This can also be heard on this particular recording, as it progresses. Stockhausen inserts that the player, once a thought has interrupted his playing, can remain silent and thinking for as long as he wishes. It is only when he is playing that he should not think. Lets not forget why and when these instructions were written. 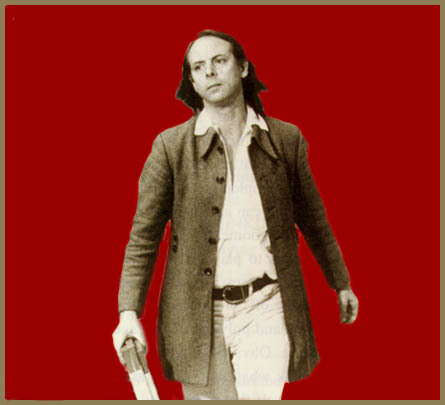 Stockhausen was falling ahead through a major crisis, through a catharsis, through a cleansing-rite of the mind, and he was fasting and he was alone. When he wrote the instruction for GOLDSTAUB on May 10th 1968, his circumstances were exactly mirrored in the text he wrote. He had been without food and company for four days, it was late at night, and right before jotting down his notes he had struck sparse, random notes on the piano, letting them ring out completely. These were the first sounds he had heard for four days, with the exception of the wind and a few animal calls outside. The title of this piece refers to the state in which you see golden colors shimmering on the inside of your eyelids, like in SETZ DIE SEGEL ZUR SONNE. the isolated piano notes in the night of May 10th 1968 sounded unprecedently spacious and long, like a rich rise and fall of vibrations, and just like gold dust. As mentioned above, this recording was preceded by the most unusual of preparations, taking on the character of an initiation rite of some indigenous tribe. The musicians had taken up residency at the Stockhausen quarters in Kürten, and they had no communication or food for the four days. They drank some mineral water or some tea. Péter Eötvös stayed in a log cabin some ways off from the main building, and the others  Herbert Henck, Michael Vetter and Stockhausen - stayed in rooms far apart in Stockhausens house. The telephone was disconnected, the garden gate locked. Before the actual recording the technicians and the recording supervisor let themselves in to switch on the equipment, but the players didnt meet them until the end of the recording. At 11 PM of the recording night Stockhausen blew a conch shell inside the house and outside, and when he came back into the recording room the three others were already playing, assembled again after their fasts and retreats, meeting for the first time in four days. To adjust the duration of the recording to the durations of LP-sides an optical sign was given by the sound engineers after about 25 minutes, and another one after about 50 minutes. After the second sign was given Stockhausen shook the ring of bells and ran outside and into the wood, still shaking the bells. I have read the instructions, and I have tried to put myself in the position of the players, going through the spiritual exercises that they went through, raising the level of consciousness, of awareness in an ascending motion. I carried all this in my backpack on a sunny and cold February day! A shaman is at work here, and good medicine is being dispensed. Health to all!